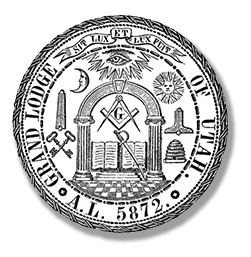 The Grand Lodge of Utah was formed in 1872 and has since worked diligently toward supporting and improving our communities and in general of promoting the ancient landmarks and values of Freemasonry which have provided such a positive influence in the development of our country. In today's complicated and fast world, the ancient traditions and values of Freemasonry provide a much needed source of moral strength and honest friendship among its members. in the Salt Lake Masonic Temple. 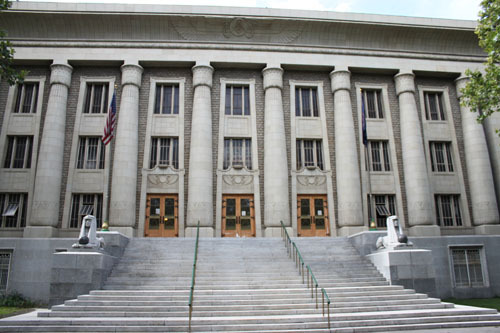 © 2001-2019 The Most Worshipful Grand Lodge of Free & Accepted Masons of Utah. All Rights Reserved. At the beginning of the popular CBS Crime Drama, Person of Interest, and in the voice of the character called "Finch," we hear, "They're watching you!" "They" is a government surveillance system, developed to watch out for terrorists which sees everything, and which has grown a mind of its own and uses its creator and a small circle of people recruited to protect regular citizens from harm. Now the idea of a government system that is more benevolently watching over ordinary citizens than the government itself may make good TV, but in some ways it's not too far from the world we live in. But security cameras are not the only - or even the most important - eyes on you. It may be very hard for you to fathom, because you know and are known to hundreds and perhaps even thousands of Masons, but you may be the only Mason that some people may ever meet. The truth of the matter is that many of those we know nothing about The Craft, and many others know only what they have read on the internet, seen on TV, or learned from us. What Most Worshipful Brother Sanders calls "the ideals of the fraternity," Most Worshipful Brother Record refers to as "Truth in Action," and Most Worshipful Brother Duff calls the "fruit produced by… Masonic lives," are nothing more or less than the principles we agreed to uphold in our obligations. I was a stranger who saw The Fraternity in the lives of Masons. As a child and teenager, I was a military brat and as my family traveled the world I got to see Freemasonry up close and personal. I came to see that many of the most professional, most successful and capable officers and NCOs were masons. I saw the rings. And I saw their behavior. They were the very definition of the title "gentleman." From these men I developed a favorable impression of The Craft. Brethren, sometimes it's our family that is watching. My wife, Lana, did not grow up with a favorable opinion of Freemasonry. She was not that thrilled when I petitioned a lodge. She trusted me but remained worried for several months. All of that changed for her the night that we attended a Scottish Rite Open House at the Salt Lake Masonic Temple and heard Most Worshipful Brother Curtis N. Lancaster speak about the purpose and principles of Masonry. She relaxed and gave me her full - unworried - support from then on. Later the same year she heard Brother Lancaster speak, Lana attended my lodge BBQ, where she witnessed some outrageous behavior from one of our members. He was boorish and obnoxious. She leaned over and whispered to me, "How do guys like that get into Masonry?" While I had an opportunity to address her question, sometimes those who see our behavior don't look any farther and don't ask any questions or give us an opportunity to respond. Recently I sat in a meeting in my office with a circle of colleagues that I'd only worked with by phone. One of them noticed my ring and after the meeting and when we reached the hall, she asked me many questions. She told me that her Grandfather and Great-Grandfather were important Masons but her own Father had never joined. She told me she had always wanted to be a member of the Eastern Star. When I asked her about her husband - whether he had an interest - she told me that her husband had no interest. She said he had been adopted as a young child and his step-father was a mason. She told me a little about his upbringing and without dwelling on the ugly details, let's just say his experiences with this mason were less than exemplary. Many men in our jurisdiction fill the official position of Grand Representative to another Grand Jurisdiction. Well my brothers, you are the Grand Representative to your friends, family, coworkers, neighbors, fellow congregants, and, as I have noted today, complete strangers we encounter. When I consider the men I've come to know in this fraternity, I find that the impression I had of the fraternity in my youth has been largely correct. I've been disappointed when I've seen otherwise, but I am wise enough to know that some slip through the West Gate without our knowledge, and it is rare. When I've seen the damage these men have done to our lodges, our brothers, and even the public perception, I'm dismayed. And when we fail to take action I am just confused. Just as you have no idea how often you are being filmed by Closed Circuit TV (CCTV), you have no idea how often others are judging the fraternity through your behavior. Please join me tonight in recommitting ourselves to principles of brotherhood, relief and truth that would lead us to showing the world that masonry has made us better men. Most Worshipful Grand Master, I thank you for the opportunity to share these few thoughts, and pray you will enjoy the rest of your visitation. 3Remarks of the Deputy Grand Master, Rt. Worshipful Drew C. Sanders, Proceedings of the 142nd Annual Communication of the Most Worshipful Grand Lodge of Free & Accepted Masons in Utah. 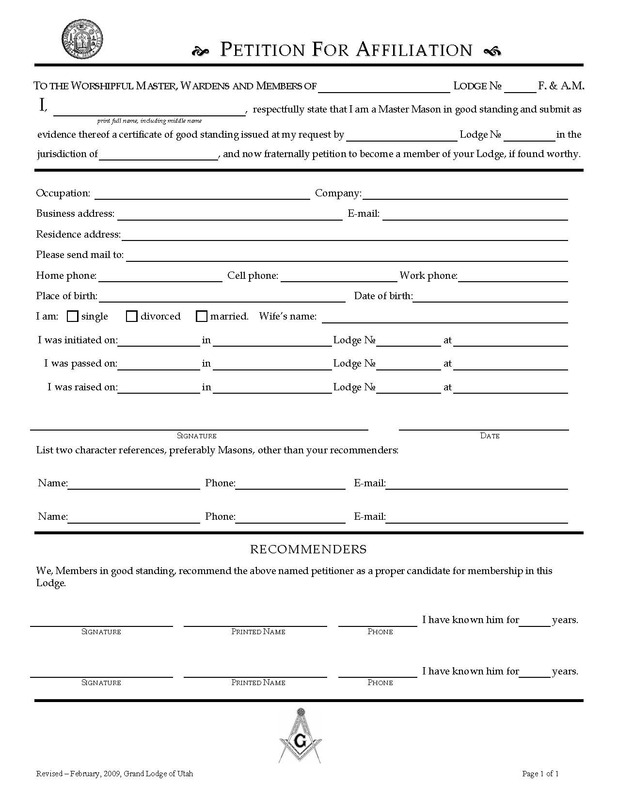 4"What if anything can be done about the lack of interest in Masonry by non-masons?" Alexander Duff, Proceedings of the Conference of Grand Masters, 1966, Feb. 23-24, 1966 85-103. © 2001-2017 Most Worshipful Grand Lodge of Free & Accepted Masons of Utah - All Rights Reserved.